What do you understand by the term Distributed DBMS? The management of the DBMS where a number of databases which are located at different locations but by using a computer network are interconnected, is known as Distributed Database Management System (DDBMS). With the help of a mechanism, DDBMS facilitates in perceiving the users that the database is a single database. Many theories are associated with the concept of DDBMS. The tutorial provides a detail understanding of the concepts of the distributed database systems by throwing light on the important DDBMS theories by providing illustrations and explanations. Who are the audience for learning the concept of Distributed DBMS? The concept of Distributed DBMS is mainly targeted for the students who aspire a bachelor’s or master’s degree in computer science. The tutorial is useful for the students who are interested and who have opted distributed database systems as the specialized subject. 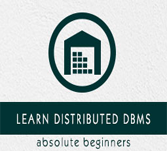 What are the prerequisites required for learning Distributed DBMS? Knowledge and understanding of the elementary concepts of database system is required for understanding the concept of Distributed DBMS. Also knowledge about the SQL concept helps in better understanding the concept if Distributed DBMS.